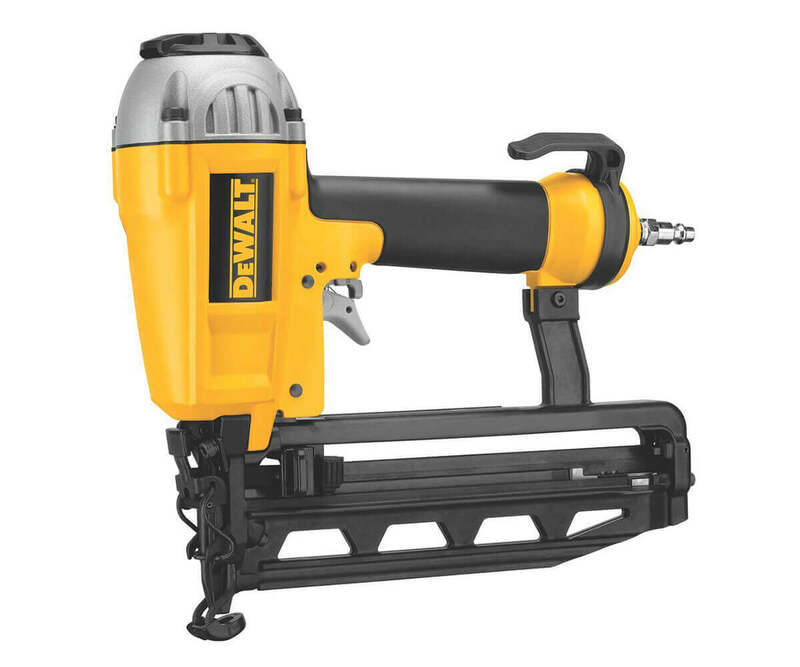 Dewalt D51257K is a pneumatic powered lightweight 16 gauge finish nailer. You need an air compressor to operate Dewalt D51257K, and the operating air pressure is 70 to 120 PSI. Dewalt uses Sealed Lube Dual Technology in this model gives the ability to run the motor as an oil-free and an oil-lubricated unit. Dewalt D51257K can hold up to 100 nails range from 1 inches to 2 and ½ inches nails. Also, rear loading magazine made the loading system easy and fast. This equipment offers versatility and fits with an internal piston that delivers stable and maximum power on each shot. 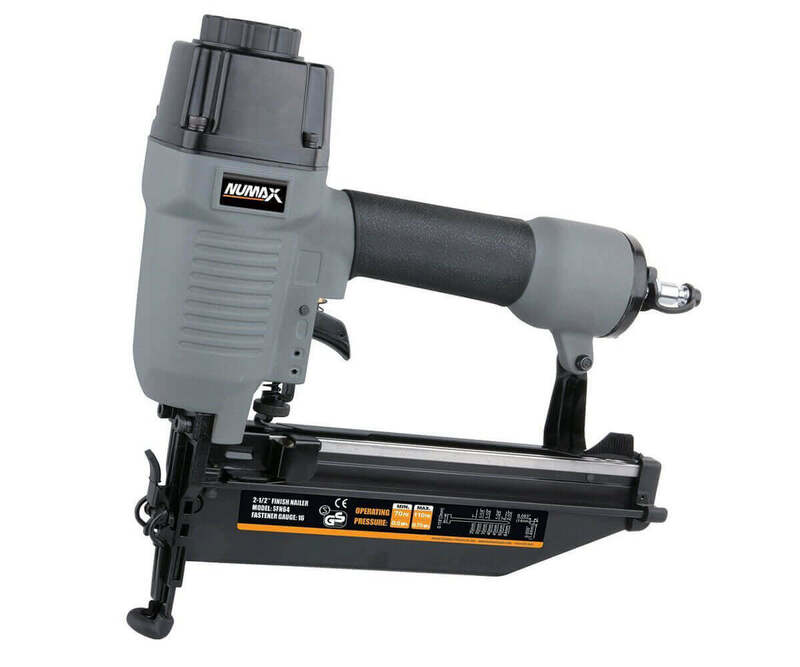 The nails fired in a sequential mode for accuracy, and the jam clearing is done effortlessly and tools free, which assures an easy exclusion of bent fasteners. Dewalt D51257K also has an adjustable belt hook for right or left-hand users making a convenient tool to operate. Also, the comfortable grip made excellent hand feeling, and hand never felt tired even if you work hours long continually. 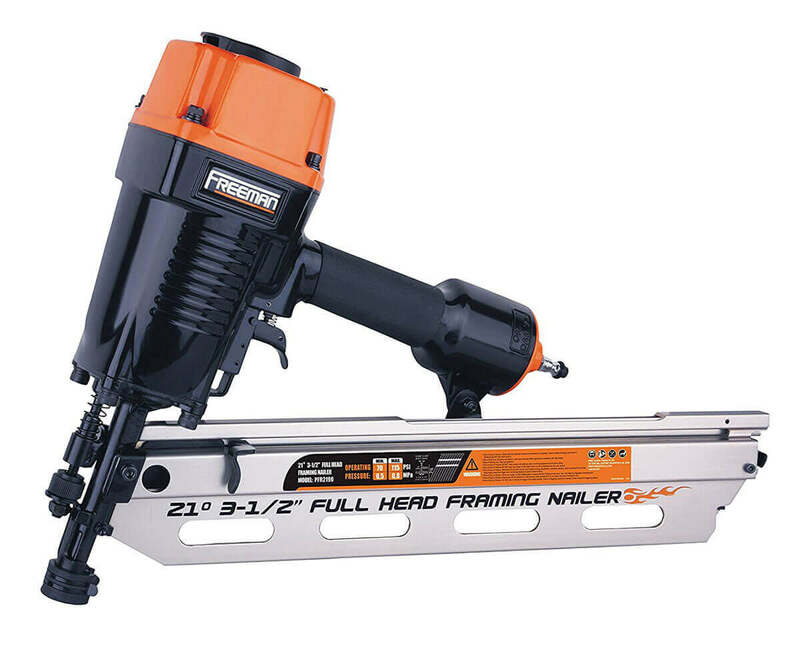 This nailer is only 3.9 lbs and easy to handle by men and women both for its lightweight. Can use efficiently for a small or large project for crown molding, fixing furniture, exterior trimming, casting of windows and doors etc. The package delivers with carrying case, sample 1000 2inch finish nail. Low profile no-mar pad for perfect and easy nailing. Motor works with or without oil. Jam cleaning without a tool. Depth adjustment without a tool. The only disadvantage found for Dewalt D51257K is the parts are made of plastic including the trigger and magazine. So, you are recommended to be careful while handling this nailgun, dropping from a high height, it can be scuffed or damage. 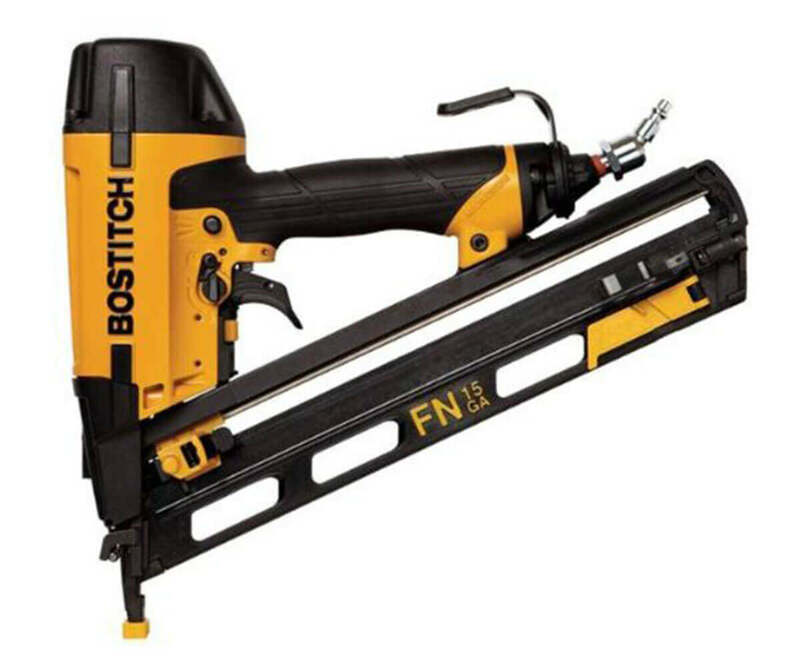 Based on the price and features, Dewalt D51257K finish nailgun is an excellent choice for the customers. The16 gauge nails offer a less expensive substitute to the 15 gauge. Overall Dewalt D51257K finish nailgun is a quality built piece at a cost to match. After tasting, there is no significant flaws or any complaints has been found. 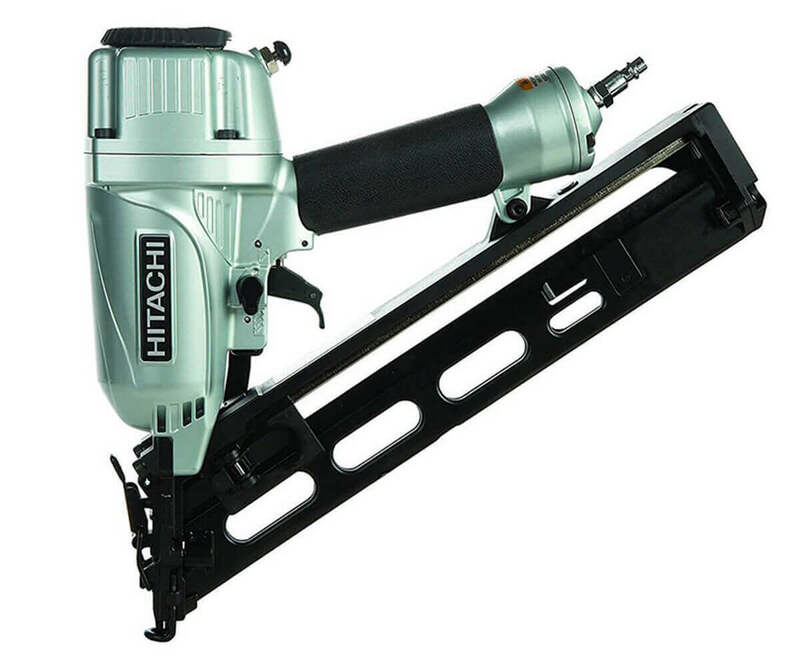 It is undoubtedly recommended for them who are thinking to purchase a new finish nailgun.